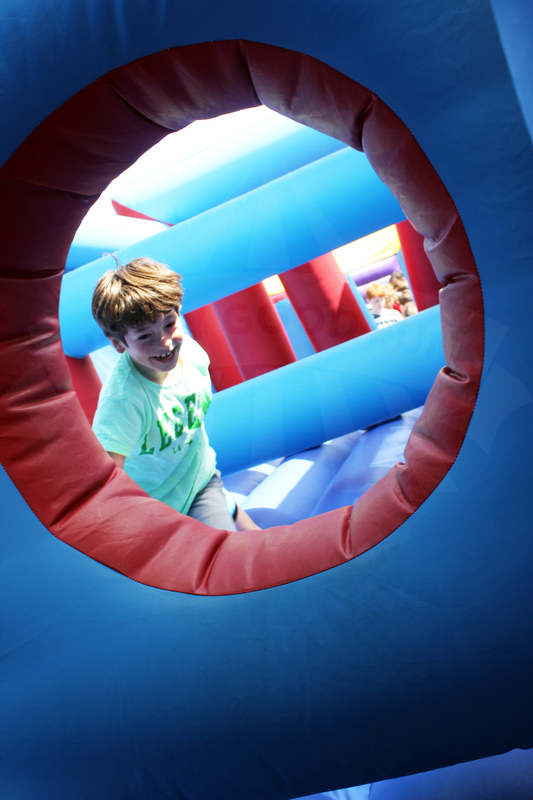 Jump & ricochet through the bouncy obstacle course. 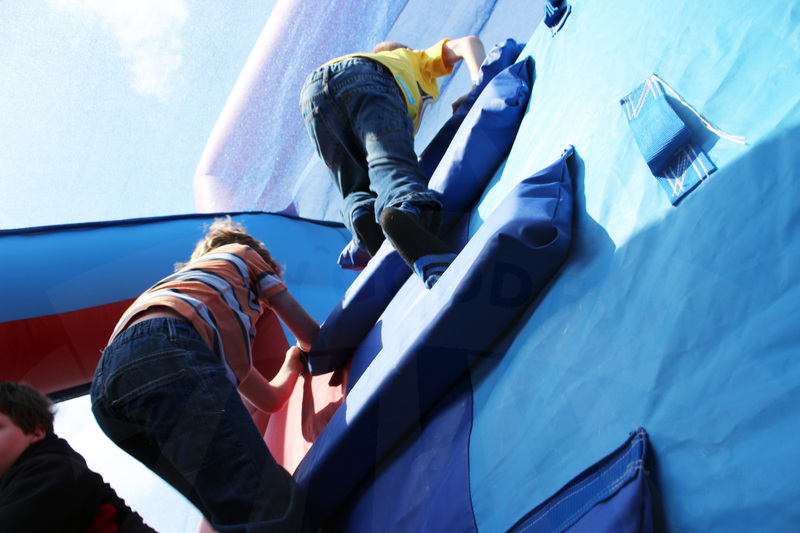 Push your way through the biff’n’bash wobblers, scramble between the high/low mangle beams & dive through the squeeze holes ready for your ascent up the block climb. 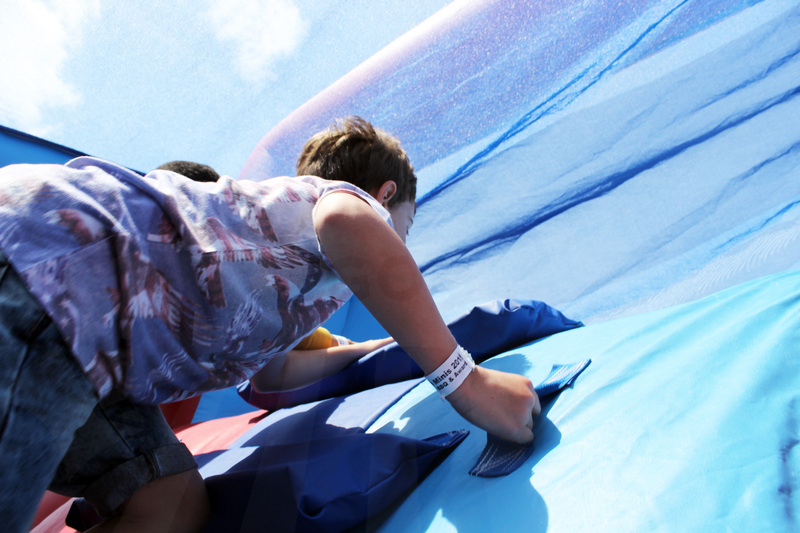 To round it all off, take the plunge down the big inflatable slide! 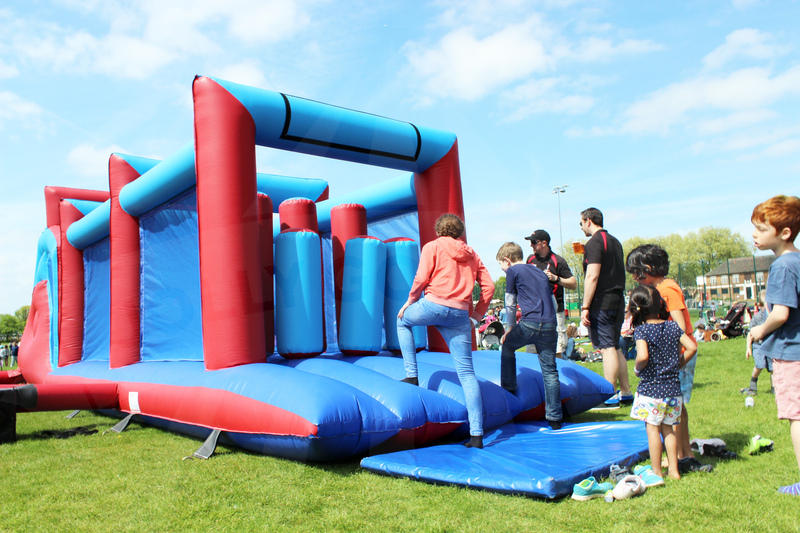 This is the crème de la crème of inflatable carnival games for parties. 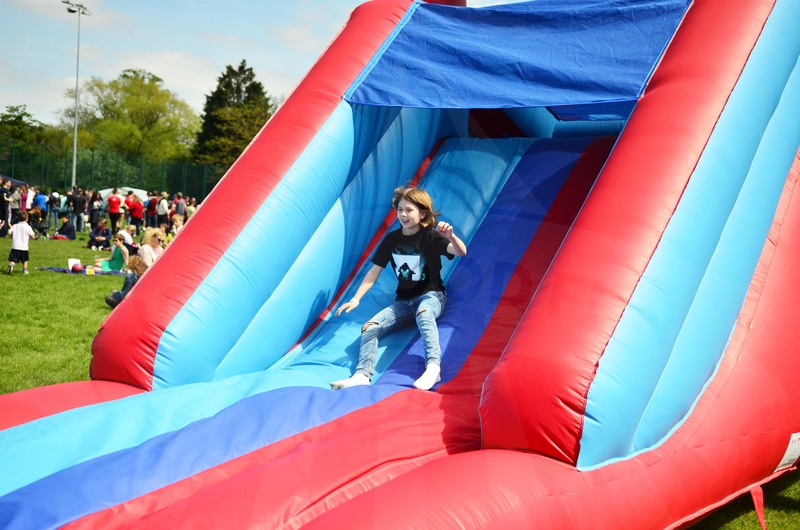 Loved by both children & adults, you can use the course to have a run for fun OR turn it into a timed competition with a score board. See who can bag the best timings of the day. 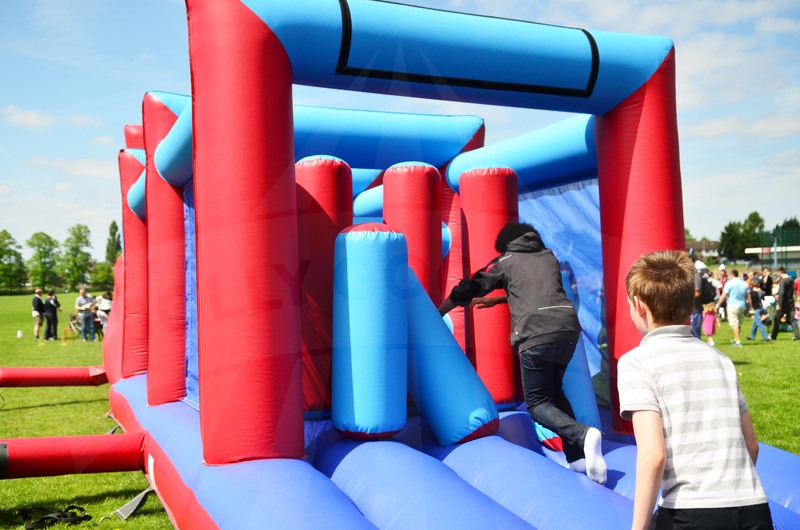 The Assault Course is particularly popular for corporate team building events, & any gathering where party inflatables will really amp up the fun. 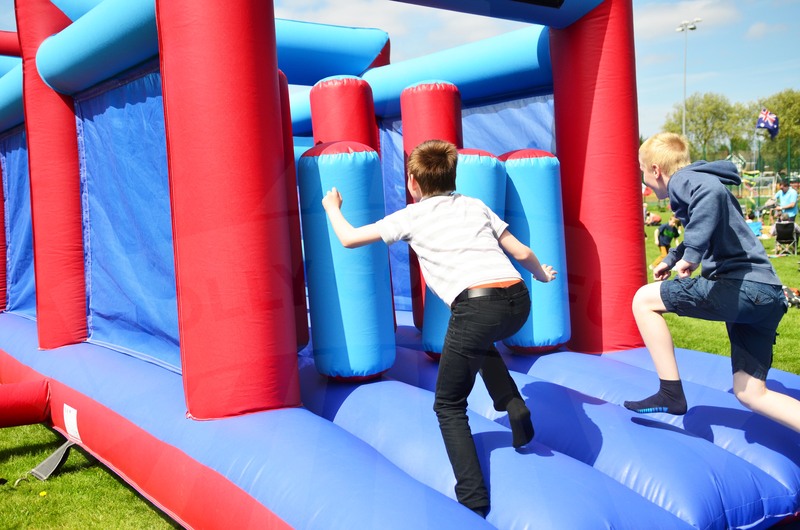 The Assault Course is a superb way to put your guests to the test & have a whole lot of fun along the way. This attraction is recommended for children & adults. 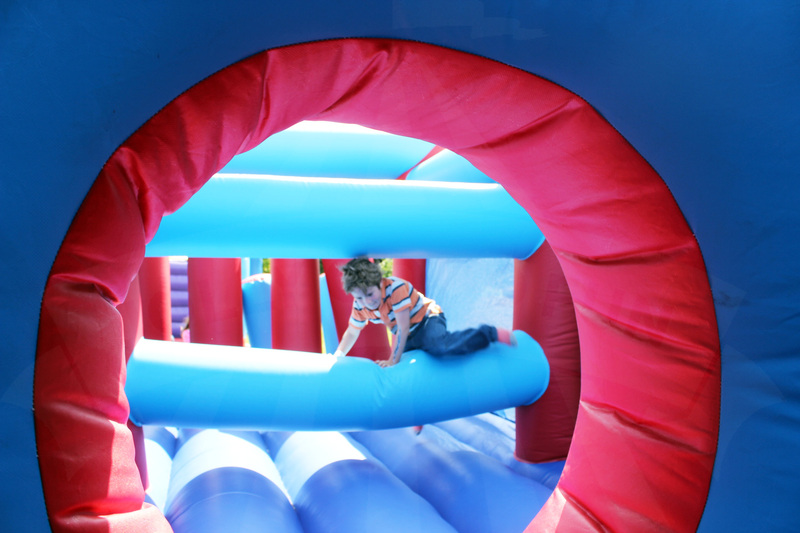 The Big Assault Course is suitable for up to four contestants at a time. Suitable for all ages including adults. Reasonable rules/restrictions (available on request) such as removing shoes & not being under the influence of alcohol also apply. This attraction is delivered in smaller parts & is assembled once in place. All parts fit through a standard 80cm wide doorway though they’re bulky/heavy so you'll need to notify us in advance if you're planning to locate it more than 50m away from where we'll be unloading from &/or if you're planning to position this attraction upstairs. This attraction must be supervised at all times by at least two responsible persons aged 18 or over according to the instructions we provide. We can provide staff to supervise at at addional hourly cost.